Whether you can actually carry a tune or not, whether you’re into mainstream pop or the more obscure genres, one thing is certain: music is heavily ingrained into each each and everyone’s lives. So for all you music lovers, music fans, music appreciators, music listeners (aka. everyone), here are a few Love Drawings of the art for you to get inspired by! A quick download of these JPG images and a few more taps on the keyboard to change your wallpaper settings, and you can have your quick dose of music-spiration! I mean, hey, we all need a little do-re-mi every once in a while. As you can see, we have quite a hefty list of music-inspired illustrations to choose from. Music Note Drawing. 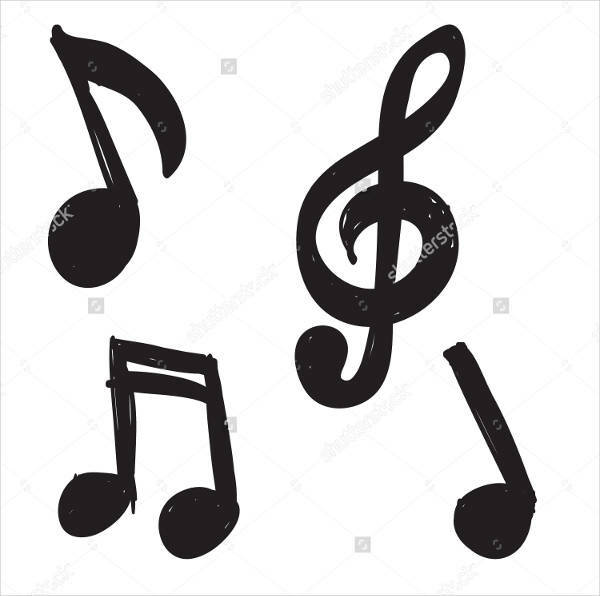 This simple black-on-white drawing of a G clef and some music notes is straightforward and a no-brainer. You wouldn’t mix this up with some other art. 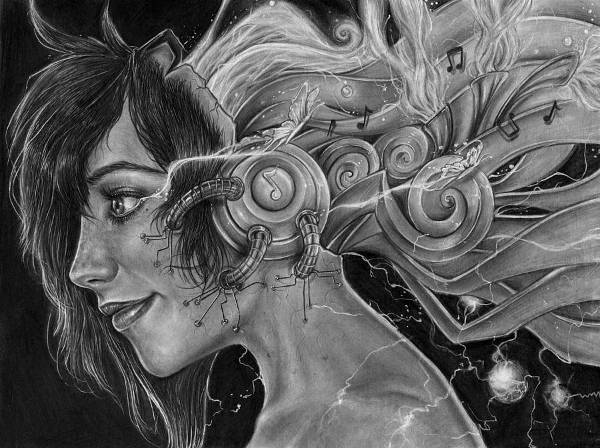 Music Pencil Drawing. As far as Pencil Drawings go, this one is nothing short of amazing. 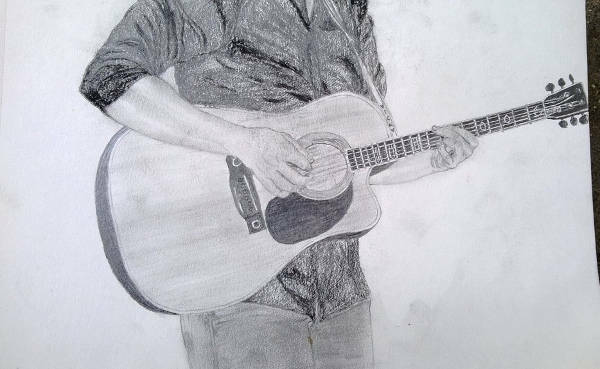 The details on the guitar and the shading are both incredibly executed. Don’t get me started on that left hand! 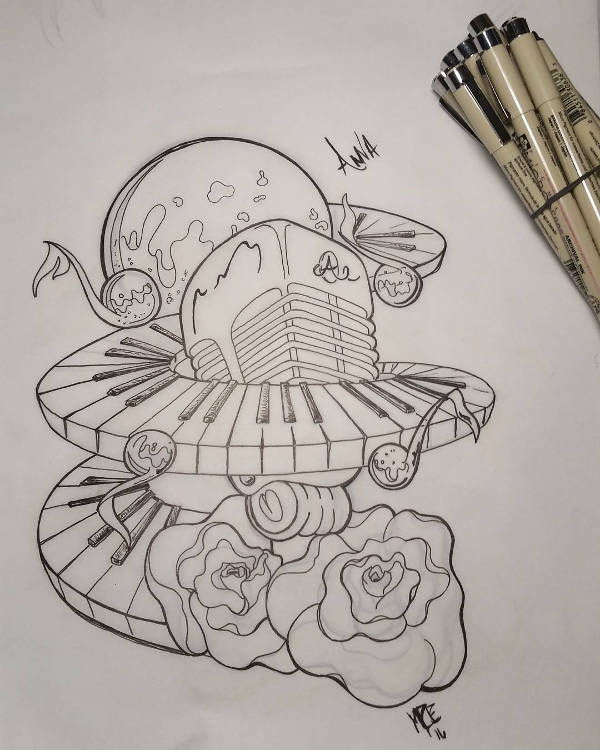 Music Tattoo Drawing. For you music “nerds” of the world who are also planning to get inked, here’s an above-average idea. (Let’s get real. This is excellent, not just above average.) Nothing says, “I love music!” more than a set of piano keys spiraling around a mic. Musical Instruments Drawing. This one is yet another exhibit of strings and wind performing a beautiful collaboration. Music Symbols Drawing. Another cameo by the G clef and piano keys, this time accompaned by the sharp and the flat signs, the music staff, and a light smattering of red hearts. 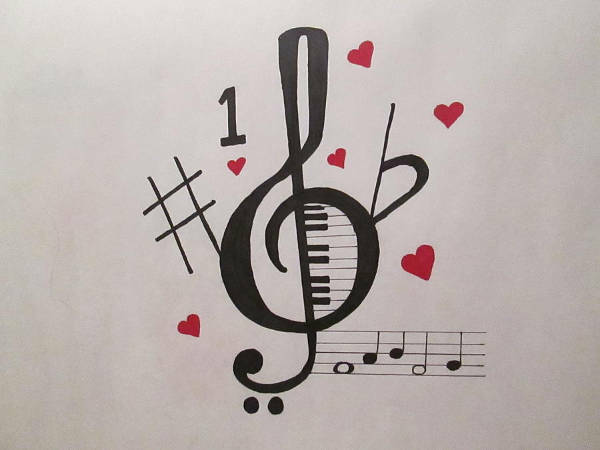 When you love music, what else would you draw, right? Music Inspired Drawing. You know that feeling when you get pulled into a song, maybe a lighthearted dancey track? Well, this colorful illustration sums it up perfectly, don’t you think? 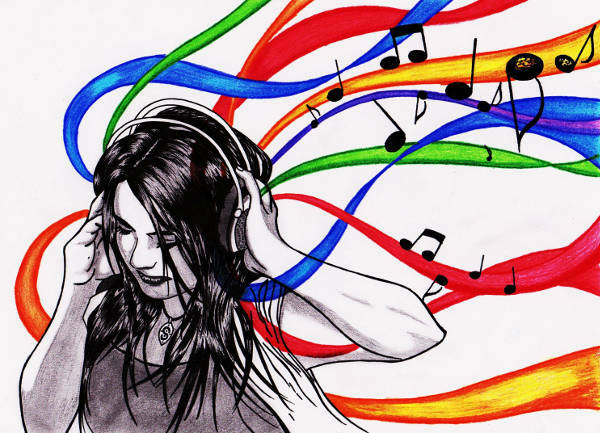 Cool Music Drawing. True to its label, this one is a cool music drawing. 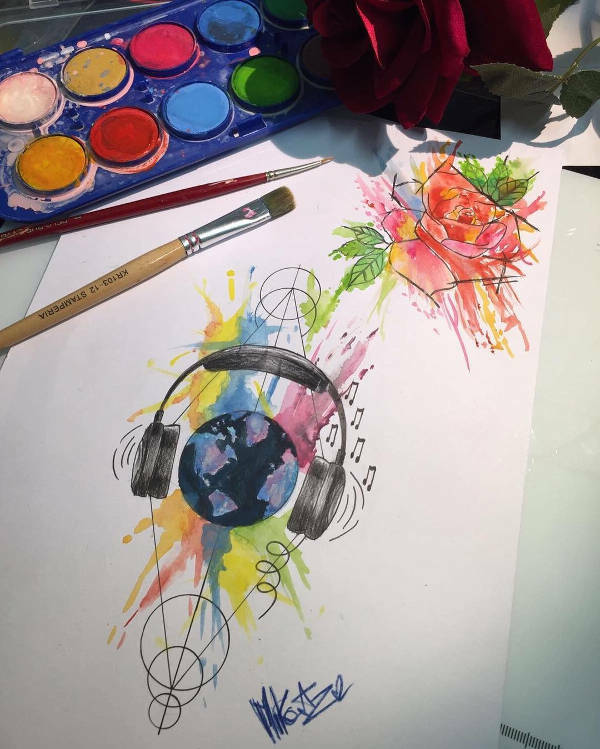 What says “music moves the world” more than an illustration of the globe with headphones and some splashes of color? Vintage Music Drawing. For the purists out there, this drawing will certainly put a smile on your face! 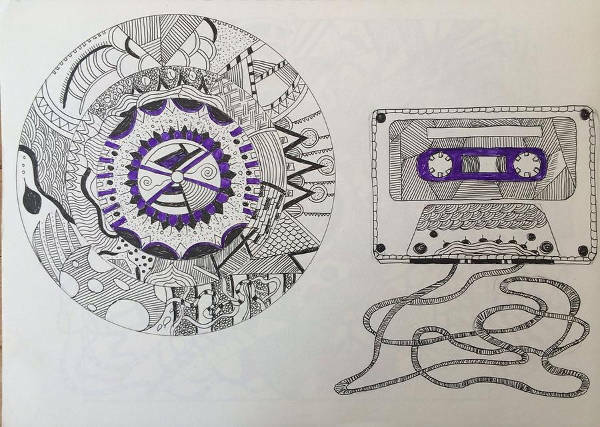 The mandala element added onto the cassette tape and the vinyl record make it more interesting. 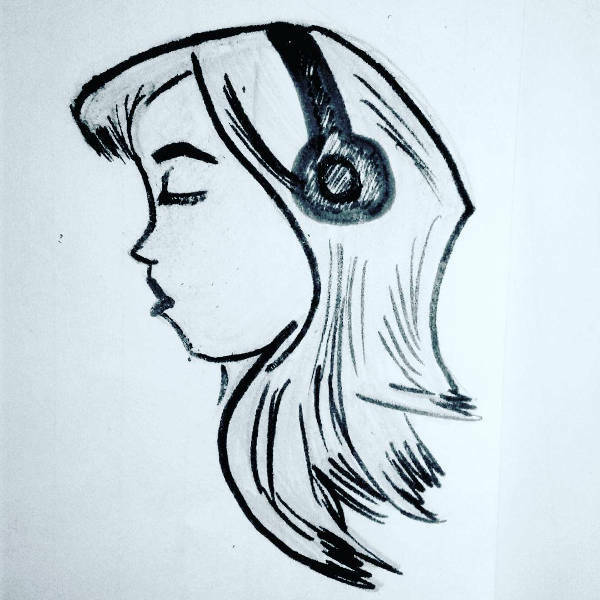 Music Girl Drawing. 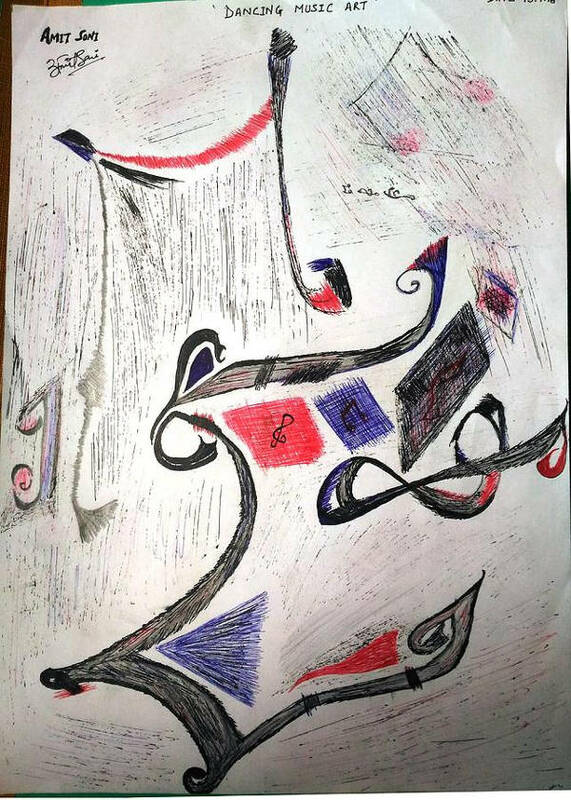 Though the message may be up for interpretation, this may be the most artfully, beautifully done music drawing here, considering elements of design and technique. 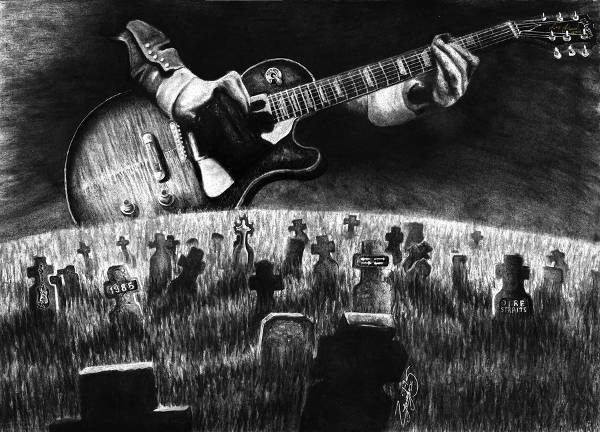 Rock Music Drawing. Ah, good ol’ rock and roll. Who can ever forget you? This one is surely not one of the “Cute Drawings.” It perfectly captures the dark mystery of the genre. Easy Music Drawing. This one features one key thing about music: it soothes and calms. Whichever from the selection we have here is more your speed, we know you will thoroughly enjoy and be inspired by them. Keep on singing that tune and strumming that guitar, folks!